From the glistening Yampa River to the snow-covered mountain peaks, Steamboat Springs offers beauty and romance around every corner. 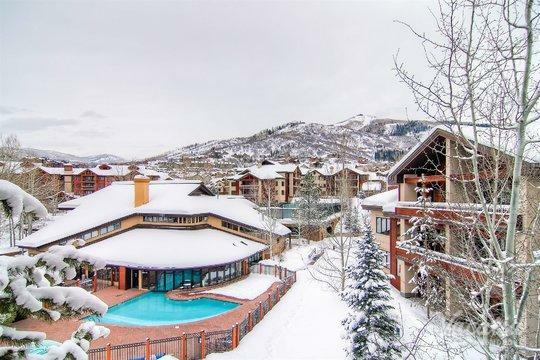 If you and your significant other want to escape to the mountains for a one-of-a-kind romantic getaway, you should work with Vacatia to book your stay at one of the best Steamboat Springs resorts available. 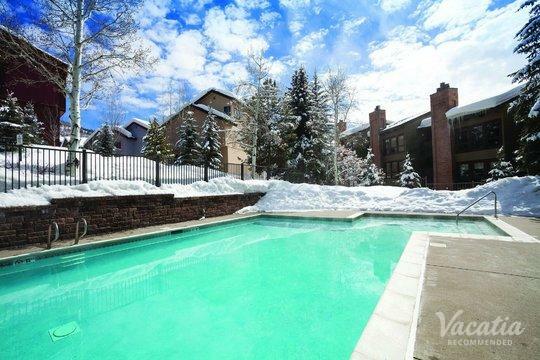 Vacatia provides quality vacation rentals in some of the world's most desirable destinations, including Steamboat Springs. 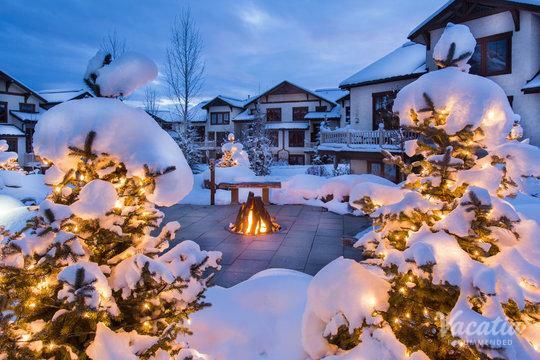 So if you want to whisk away to the Rocky Mountains for a memorable, romantic vacation, you should work with Vacatia to book your stay at one of the best romantic resorts in Steamboat Springs. You're sure to find a rental property you love out of Vacatia's selection of carefully curated resorts, and you can always rest assured that Vacatia's attentive Guest Care team will be available to answer any questions you may have. So if you want to plan a romantic, stress-free vacation, work with Vacatia to book your Steamboat Springs accommodations. Nestled in the Rocky Mountains, Steamboat Springs is an idyllic mountain town that impresses visitors year-round. During the colder winter months, visitors escape to the snow-covered peaks of Steamboat Springs to enjoy great skiing and snow sports. During the warmer months, Steamboat Springs transforms into a nature lover's oasis, as this mountain town offers great hiking, golfing, and lake activities. No matter what you have on your Steamboat Springs itinerary, you are sure to fall in love with this exciting mountain town. If you want to plan one of your most romantic getaways yet, you should let Vacatia help you find the perfect vacation rental. Every Vacatia rental property features the added space and comfort of a home, so you will be able to relax and enjoy every moment of your romantic mountain vacation. When you stay at a Vacatia rental property, you will be able to use your fully equipped kitchen to cook up breakfast before heading out to explore the mountain. 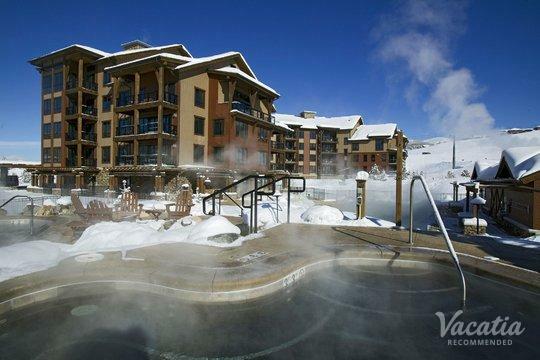 Vacatia combines the comfort of home and the luxury of vacation so that you can enjoy the best of both worlds during your Steamboat Springs getaway. 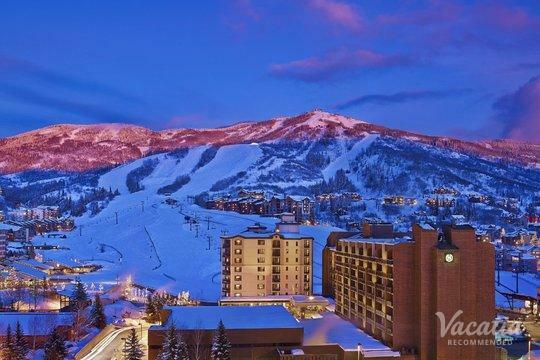 Steamboat Springs is a popular ski resort located in Colorado's picturesque Rocky Mountains. 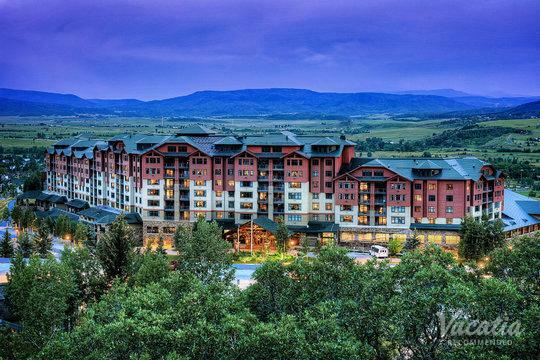 While it's best known as a ski destination, Steamboat Springs is also a great destination during the summer months, when the snow melts and unveils great hiking and biking trails, golf courses, and a picturesque river. There is no shortage of things to do or see in this outdoor lover's paradise, which is why it's one of the best options for your upcoming romantic vacation. You and your significant other can relax in the natural hot springs, view the beauty of the Rockies from a hot air balloon, or zip down the mountain on your skis. There's no limit to the fun, excitement, and romance you can enjoy in Steamboat Springs, so be sure to plan your ideal romantic vacation by booking your Steamboat accommodations through Vacatia.